Nursery Life in the snow. Wenhaston is a fortunate village when it comes to the weather, our only downfall is that the nursery is located on a very exposed site and therefore gets the brunt of any gales. But this week we have experienced up to 6 inches of snowfall and daytime temperatures of -6 degrees, and this changes our daily routine considerably. 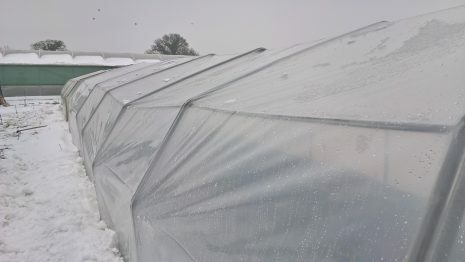 Whilst many retailers may struggle to get to work or get supplies, agricultural and horticultural businesses face a whole new battle; so for those that may be interested here is the Woottens guide to surviving a ‘snow day’ on the nursery. 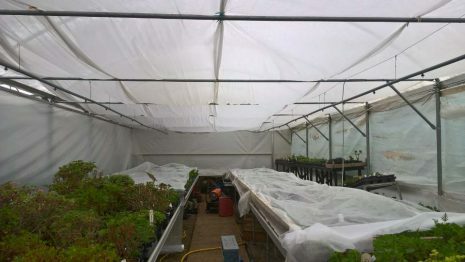 In majority of cases staying at home isn’t an option, the nursery owns of the rarest collections of Pelargoniums and these specimens all need protection from frost. So heaters must be topped up with fuel everyday and temperatures monitored to make sure they’re working. Accessing the nursery can be difficult, Wenhaston is a fairly remote village and is in a valley, so each exit has a hill to climb, so even if you get in to work getting out is fun. Luckily the village also has one of the best Pubs in the county; The Wenhaston Star – with a roaring fire, excellent food and good beer! Even when every precaution is taken there will be some losses. 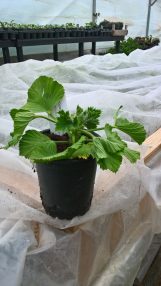 Below you’ll see an image of a Pelargonium that has got too cold. 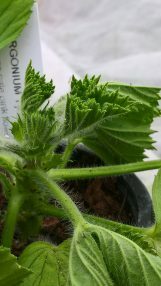 They will often look dehydrated, but don’t be fooled the flaccid leaves are an indication that the cells have broken down due to freezing. This process can take 48 hours to present itself so whilst initially they may look fine, they may not survive. But all is not lost if the central young leaves are still turgid as you see here then the plant should live. As well is the Pelargoniums we have many half hardy plants such as Salvias, Agapanthus, Penstemons and Tulbaghia. 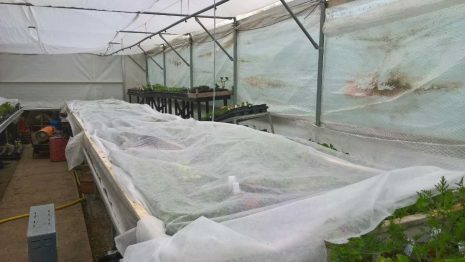 These must be sheltered in the polytunnel but not necessarily heated, the plastic and bubble wrap provide enough protection to see them through the harsh nights. We also have chickens in the nursery so they too need extra care, they love a bowl of warm water on cold day and plenty of additional bedding. Often is it worth adding petroleum jelly to their wattles and combs to prevent frost bite. Our chickens have been tucked temporarily into a polytunnel whilst temperatures were severe. If snow is due to linger it is often worth brushing it off the outdoor plants where possible. In severe cases we will take a broom to the hardy stock and remove thick snow. 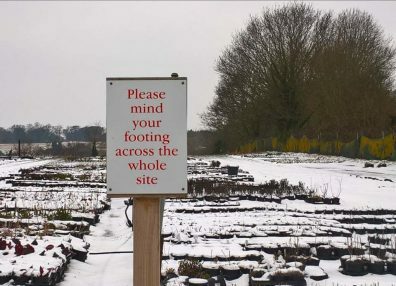 It is important to remember that while many plants will with stand low temperatures they will not withstand long periods of wet, and after all snow is just that. But it’s not all doom and gloom, it is very rewarding to know that all our efforts are worthwhile when spring arrives and the plants have survived the winter. 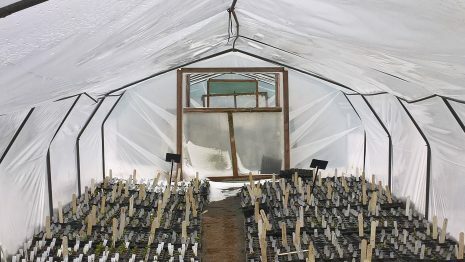 Seeing the young shoots on plants is a sight to make any nurseryman smile.